My World: Project Lincoln - The Talk on India's First Batpod! Project Lincoln - The Talk on India's First Batpod! Hello! This post is about my journey in building my biggest project till date, Project Lincoln – Re-inventing the Batpod. For those who don’t know what that is, Google it now! If you still are lazy, read on! Batpod is a vehicle hard to be defined as a bike, featured in the Dark Knight movie as Batman’s ride and escape pod from the Tumbler i.e. the Batmobile. I happened to rebuild the Batpod on my own, only to become one of the mere 5 people round the globe to do so. Yes, also the First one in my country to dare this feat. I was invited to talk at Consortium, the annual entrepreneurship summit held at VNIT, a premier college of central India a couple of days back. This talk focussed on my journey in building this piece of art; still unfinished. The following post is my talk delivered on the stage with minor additions that I had prepared but couldn’t cover up on stage. So, the evening starts, I was invited the previous day to talk with other people but due to time constraints, I got postponed to today, 11th January 2014. I feel happy about it already. I had planned the perfect entry sequence to the stage and today it was actually possible. I was busy preparing the talk, going through the slides, making up my mind to get back on the stage after a long gap, editing my presentation every 10mins while the volunteers got my bike to the entrance. Shrikant, was there by my side encouraging me as always. We wanted to get the bike in between the crowd, so made little arrangements for that. Everything was planned and now was the time to execute it! The previous on stage discussion almost ends and I got on the bike wearing the Batman mask. Dressed and prepared to kill. As my name was announced (the more popular, Abhijeet Khan) I entered the auditorium from the back gate on the bike, pushing my way forward. The crowd started to know what was happening and everyone turned behind. Amazed and in awe, they started cheering. As I reached center, I parked the bike and walked up the stage still wearing the mask, amidst the cheering crowd and cameras clicking! I walked up the stairs, and as my laptop arrived, I greeted the crowd. What a phenomenal moment that was! That was when I realized, this is the reason I am alive. This is my life, on the STAGE. [Talk] Good Evening People! Today I’m here to talk about my creation, Project Lincoln: Re-inventing the Batpod. How many of you know what the Batpod is? (very few hands up) How many of you have seen the Dark Knight movie? (almost every hand up) Batpod is Batman’s ride in the movie. I build that! Let me talk you about the inspiration behind this project. But before I do, let me tell you a bit about myself. I can define myself in these few words. Dreamer. Innovator. Researcher. Yes I work on solar physics. Pretty different from what it looks like. Public Speaker. I like speaking; like this. Traveller. I travel almost every 2 months. Poet. Yes I write! You can head to my blog and read a few. And a Batman fan. Today I’m here to talk about this part of me only. I’m a huge fan of Batman. Doesn’t that want to make you ride the Batpod? (crowd cheers “yes!”) Now how many of you want to build the Batpod? (many hands up) How many of you build the Batpod? (No hands up) Well, I did. I took this crazy passion and started building it. That is why I’m here. [The Story] Luxury is a gift very few enjoy. I have lived with this saying, still do, ‘If you can’t buy it, build it!’ How many of you have a weird thing to build? (a few hands) Well, then you have a chance to be on this stage too. If you build it. Failure, it has been a driving force for me all the time. It can make you or break you. You wouldn’t believe, I failed in my academics. I was out of college for six months. It was then that I initiated my startup, Albedo Informatics. To start with, I gave lectures on Presentation Skills; that was something I was good at! Later, I began working on this project. The official project start date was 21st April 2011. The first team was 3 of us - Rahul, Ankit, and Me. 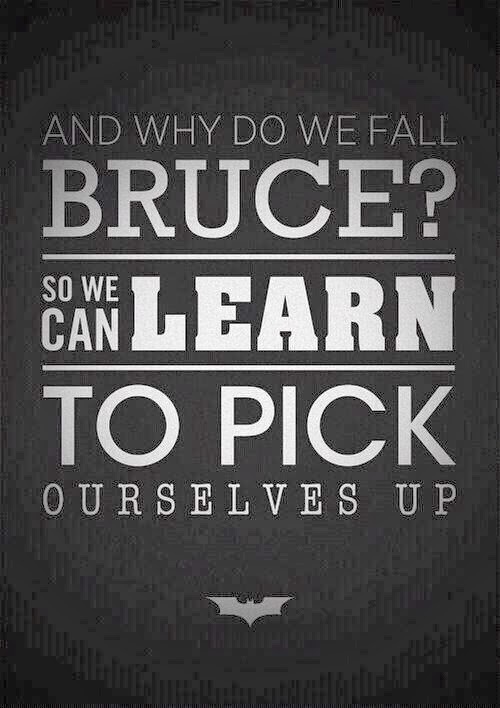 That is when this quote found its meaning for me, “Why do we fall Bruce? So we can learn to pick ourselves up!” This quote has always inspired me since then. [Kick start and a Setback] I’ve build a lot of things in the past. All were prototypes. This was the first full scale project in my mind. I had 6 months ahead of me, with nothing to look up to. I did start on the project just because I could do it! That’s the best thing to know guys. I didn’t start this project for money or fame, but then, it’s coming back to me. Later, for almost a year nothing happened. The project got a new breath of life when in 2012, Ankit began with the designs. I was in my final year, I took the project as my academic project where I involved 10 other people in the project - titled Light Combat Vehicle. We wanted to make an ‘engineered’ bike. Then came the part for reinventing. Here I got immense inputs from my 2 designers. 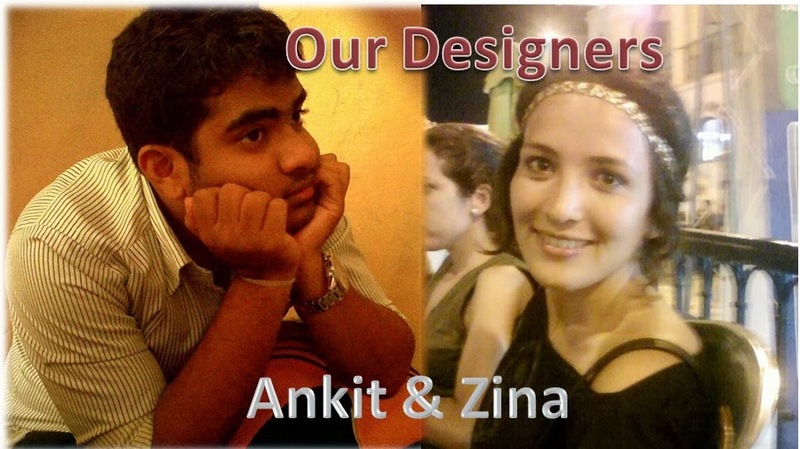 Ankit, who is now in California and Zina, she is from Tunisia in the Middle East. She got in touch with us through our Facebook page. I used to interact with her over Skype and chat clients and discuss designs. We started procuring parts, got in touch with several people through social networks and personal networks. We initially had started out with a scooter engine for the Batpod. But then we got a new engine, the Bajaj Pulsar 220FI. We got support from Arun Bajaj, Nagpur. The work happened there to a blacksmith on some corner of Kamptee road. Help flew in from all directions. Major help was provided by local and international people. Sharif Engineering Works helped us in the local fabrication process and Chopper City USA - Dave Welsh, helped us out in understanding the steering mechanism. They build the first road legal Batpod in the world. Biggest challenge in the project was to steer this thing. And that turned out to be the best part. We spent hours with professors, online reviewing steering mechanisms, went to Grace Toyota to see the mechanism closely. Bend down every big vehicle and see its steering mechanism. 25+ options later - from bikes to F1 cars - we invented it! [Moolah] Where did the money to fund this project come from? The project till date has cost me close to INR 100,000. Out of this, about 40K was raised in the form of college project fund from my college mates. Rest was my personal investment wherein I pooled in all my savings and whatever I earned from working. My family also helped me monetarily to make this dream come true. Thus, the Project Lincoln – Azrael came into being; to the state that it is now in. The first of its kind in India and fifth in the world. The first being the original Batpod featured in the movie. I take this opportunity to thank and congratulate all the people who supported me in this project. Without them, nothing would have been possible. I round of applause for each one of them please! Now why is it still incomplete? #1 We are still struggling with finances. Running a start-up, funding this huge project and surviving is a big deal. It might sound cool when we call us as ‘Entrepreneurs’ but deep down we are always struggling with finances. #2 We don’t have a full time personnel on the project. All the people involved in the project have been working part time. Including me. #3 The vehicle is to become a drivable machine, not just an eye candy. What can you take back from this story? I got a sapling later as a token of gratitude from the organizers. As I walked down, I was greeted by a lot of students and guys were taking pictures with the pod. I was delighted. The best thing was to be able to forget my illness in this chaos. The medicines supported my body and luckily I didn’t cough on stage, thanks to the Vicks pill I popped just before the talk. Moments like these, give me a meaning in life. I always have been a stage person. I always want to be one. After all, life’s a stage, and all people are but mere players; so hath quoted Shakespeare.